We Fix Your Water Problems! 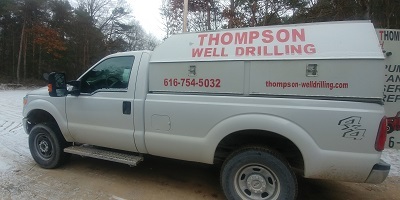 Thompson Well Drilling, LLC is a licensed, christian, family owned business that you can trust to fix your water issues. We strive to be one of the best water well drilling companies by being honest, dependable, and understanding of all your water well needs. Whether you need a new water well, your pump fixed, or any other water problems, you can depend on us to fix it! Copyright © 2019 Thompson Well Drilling, LLC. All rights reserved.